One of the blessings of my current job is the fact that I get to travel to Israel on a somewhat regular basis. The flight time is horrible, and I am there to work, but even so the trip provides me an opportunity to take some absolutely beautiful pictures along the way. Here are a a few apartment buildings on the drive to our office in Tel Aviv. Taking pictures from a moving car is usually iffy at best, but this one came out well. The morning sun peeking over the clouds was a beautiful site. The night I arrived, there was a thunderstorm. My hotel was at the port, so I was able to capture this beautiful north facing shot of the sea during the storm. This was taken from the same point as the last shot, but facing south. I am excited, and also a little sad – you see it will arrive over the weekend, but I will be out of the country when it gets here. That means I have to wait until I return home. I hope to post some new great shots soon, so be on lookout! Fancy dual monitor gaming computer rig? Check! Personal high-flying drone with an eye in the sky? Che…. heeeeeey now wait a second! Where is my personal high-flying drone with an eye in the sky?! You see the problem here? I haven’t managed to grow wings (yet), so one would think I had found an alternative method to flying that doesn’t involve gripping the armrests in an airplane until my hand imprints are permanently etched for all mankind to see. I’m a sad panda, for I haven’t found this alternative yet. I have come to the inescapable conclusion that I must have my own personal high-flying doohickey right this moment, sleep be damned. Why is this such a cool doodad? Watch the video in the link below and you’ll have a better idea, let me tell you. As an amateur photographer, I like to take pictures and find myself wondering what the best angle should be. I’m limited though, to options like eye-level (I’m not tall) or lower then eye-level (did I mention I’m not tall?) or possibly climbing-dangerously-high-on-that-bench-over-there-and-climbing-on-the-fence-behind-it-eye-level. Behold and imagine, then, what aerial photography could do for me. Watch the aforementioned amazing video linked below and wonder as I have what joys this would bring to us all. For more coolness, check out this here link. This past Saturday, I had the honor of watching the Dallas Derby Devils’ second bout of the season. If you are not familiar with the Dallas Derby Devils (or DDD), they are an amateur league of flat track roller derby skaters – in short they are bunch of competitive and fun loving women who mix Nascar and hockey in a thoroughly enjoyable fashion! The High Sea Hotties are one of five teams. The Hotties are joined by the Death Row Rumbers, the Suicide Shifters, the Wrecking Crew, and the Slaughterers, creating a group of women to be feared as much as they are loved for what they do! I first became aware of DDD through a long time friend who had recently started to skate a few years ago, named ZoeKat Karma (also of the Hotties). I’ve come to know several of the skaters other than Kat and Cuppy, including referee DoS Attack, and skater Rhinestone Callgirl. In my time in watching the derby, I’ve come to greatly respect these lady devils. They are brave, determined, and committed to both excellence and each other. As a fan, I can tell you that their attitudes are a huge draw, and I think we should all support people such as these! Each time I go to the derby, I like to look for skaters that stand out, and demand our attention the entire matches. Since I am just getting back into writing (and thanks for those that are reading this, by the way), I want to give out some kudos from the first and second bouts of the season. So, here goes! To Onrhea of the Hotties – you showed real grit and determination! You took a few hard hits, but you pushed through and made your team proud! To Postal Penny of the Rumblers – you were grace personified tonight. It was amazing watching you “thread the needle” and dance past the blockers with such ease! To Guillotine Grace of the Slaughterers – elegance and power.You led your team well, and proved that the Slaughters are a force to be reckoned with! And to Anita Riot and Rhinestone Callgirl of the Crew- you were both amazing! When you were on the track, we all knew something special was about to happen, and you never let us down! It was a pure thrill to watch you both and root and cheer you both on! Lastly, to the entire Wrecking Crew and Slaughter teams – hands down, that was the best game I’ve seen at derby since I started coming out! First, Punchy Brewster of the Rumblers – I can’t imagine what you and your family are going though, but please know that your fans are with you in spirit in this tough time, and you and your family are in my prayers. To Whisky Hangover of the Rumblers – you hung tough tonight! You’ve always been one of the best skaters on the track, and tonight you proved why! Great determination, and better execution! I really enjoyed watching you and your entire team! To Ripper of the Crew – the Wrecking Crew has a winner in you! You are tough as nails – it was a blast watching you power your way past blockers, and to watch you take down the opposing jammers! To Planet of the Skates of the Shifters – again, you were fantastic! You are so quick off the line that the Hotties couldn’t keep up, and if they managed to get in front of you, well they were soon out of your way! Great job tonight! To Hannah Barabaric of the Hotties – What an impressive game! It didn’t matter if you were jammer, pivot, or blocker, you gave everything you had tonight – I loved watching you chase down the opposing jammer! Great job! To DoS Attack of Team Zebra – great officiating tonight! The best officiating is the kind that the fans don’t notice – because you are getting the calls right! And finally to ZoeKat Karma of the Hotties – it was a lot of fun sitting next to you tonight – I’ve known you a long time, and the Hotties could not hope for a better cheerleader! (My ears are still ringing – next time I’ll sit a couple feet further away). Get better soon, and get back on that track! If you are in the Dallas area, I highly recommend you check out the DDD website by clicking here. You can also like them on Facebook. Tickets are available from a skater, online, or at the door. The next set of bouts are Saturday, June 28, 2014. Mankind. Humanity. We have come a long way as a species. We have traveled to outer space, and we have explored the depths of the oceans. We have created quadrotor robots that look like bugs but fly like synchronized swimmers. We have even created what amounts to cybernetic implants (i.e pacemakers and robotic limbs like the i-Limb). And I, for one, greatly enjoy the ability to use Multi-Million Dollar Satellites to find those ever elusive plastic containers hiding in the world around us called (get this) Tupperware. If you prefer a more catchy name, I enjoy Geocaching. You’ve never heard of that before? Well Tupperware is… Oh you meant you’ve never heard of Geocaching. That’s understandable. The question to ask yourself: do you like scavenger hunts? If you answer yes, then Geocaching may be for you. The basic premise is that people hide things in the world. The “thing” in question might be anything from a mini M&M tube, to a 35mm film cylinder, to an ammo can, to (yes) Tupperware. In these containers are logs that you get to sign informing the next visitor that you were there. If you remember to bring some swag (you know that old silly key chain you found once, or that coin from France that you have no need for? ), you can even trade it for something else that is just as silly but new to you. All the while, you must use your ninja skills to keep from being seen – the whole point here is that you are trying to find something hidden after all; who wants to go to the trouble of searching for something that has been vandalized? All of this is tracked online through a free website. Yes – I said the “f” word. 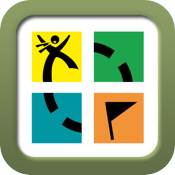 Geocaching is free to play. The real appeal, though, is not signing the log and tracking your find (though there is a certain pride you feel when you get to 50, or 100 caches found). Like anything worthwhile, the joy comes from the journey. I have found countless spots that I never would have known existed before. I have spent time with good friends digging through a bush (happily). Geocaching is another great way to bond with friends and family. Another fantastic part to this hobby are the Travel Bugs. Travel Bugs are small items that have been tagged and tracked. They have goals, which might be as simple as “I want to see everything there is to see” or very complicated such as “I want to travel to London by way of Australia”. It’s fun to find these, and help them on their way. Be sure to log a fun anecdote about how you found the bug, or some other story that matches the theme of the bug. The owner will appreciate it, as will anyone else who finds and logs the Travel Bug after it leaves you. And of course, you can hide your own caches in the world. Have a favorite spot you want to share with others? Know a place in the park across the street you can see from you window – and like to watch people try to be sneaky? Have a special connection with the place that you had your first kiss? All great places to hide a cache. Pick up trash! Part of the fun is seeing new places – no one wants to see an empty soda can in a park. In conclusion, Geocaching is a great hobby. Give a try and let me know what you think. I’d love to hear your stories. You can either add a comment here or email (thedingowashere@gmail.com). For more information, visit Geocaching.